The first Monday in August is National Childrens' Day in Tuvalu. This public holiday is called in Tuvalu Aso Tamaliki. Tuvalu is a very small country, that is situated in the Pacific Ocean. The first Europeans set foot on Tuvalu in 1568. In the late 19th century the islands came under British influence and became a crown protectorate in 1892. 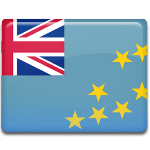 Tuvalu gained independence from Britain in 1978 and became a state within the Commonwealth. Population of Tuvalu is about 11,000 people (as of 2012). About 1/3 of it are children under 14. Welfare of children is an important issue in the country. Children under 18 years are provided with free medical care. All children from 6 to 15 years receive free compulsory education. There is an elementary school on each island, but there are only two secondary schools in Tuvalu. One school is situated on the island Vaitupu and the second one is on the island of Funafuti. Children live at school during schooling and return home only for the holidays. Government started to pay more attention to issues of education. The most competent teachers receive grants. The government takes care of childrens' welfare, and establishment of National Children's Day proofs that.